In the last days of August this year the birds were flying south and, bit by bit, the skies were getting emptier every day. I had the late summer blues, feeling that I should follow them into the tropics, when out of the blue came the call: Would you like to come to Costa Rica? The unspoken words “to watch birds” were left hanging in the air. Would I? Does a baby go goo? Still, when something sounds too good to be true, it usually isn’t and I didn’t allow myself to talk about it (it’s like saying the “freak snow storm”) and get overjoyed until the flight tickets landed into my inbox! It was true! 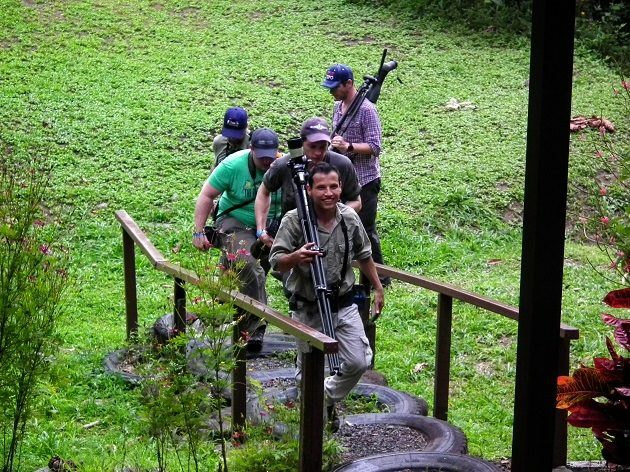 As the thirteenth birder, I was invited to the first ever bird race in the country, the Costa Rica Bird Challenge organized and supported by the Costa Rica Tourism Board (Instituto Costarricense de Turismo / ICT) and Futuropa. Costa Rica, here I come! Do I need any tropical gear that I may not have? The advice was, some light rain gear, an umbrella or a poncho, because September-October are a rainy season at the Pacific side. So I bought a poncho and haven’t used it once – there was hardly any rain. Still, just ahead of the race, the tropical storm Nate made its brief visit to the country, causing 17 deaths, landslides and flooding. This last thing has allowed American crocodiles into new areas and the crocodile alert was issued. I cannot remember ever reading of Costa Rica in Serbian papers, but this caught the attention of the tabloid editors, even made it into a title. And who was going to read it? My mother, of all the people, who called me the next day to warn me of the crocodiles. 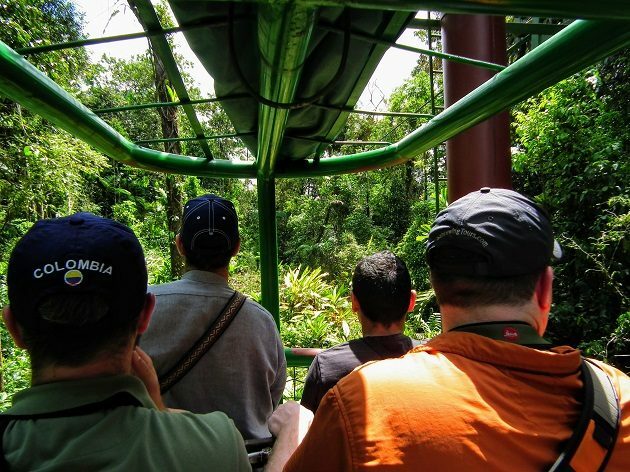 Personally, I was more worried over mosquitoes, but they proved to be rare and highly localized, a few by the lake at the Casa Turire Hotel and a lot more deep in the Monte Verde cloudforest. Consequently, insect repellent was used only when the need arose and not every day. With its 920 species, Costa Rica has 2.6 times more birds than my native Serbia and about 1.5 times more than Europe (when the vagrants are excluded). How to learn that many birds in barely more than a month? Later I will find out that I am not just the only participant who has never birded the New World, but that almost all the others are professional bird guides, experienced in Central America and Costa Rica. The disadvantage of the situation is obvious, but the advantage is less obvious: beside a few egrets and shorebirds, a sparrow and a pigeon, every bird is a lifer to me! Back to the question, how to learn them? Instead of focusing on the endemic and otherwise emblematic species, I looked to the eBird asking which target species should I expect in October. About 800 of them, was the answer, but they came out starting with the highest probability of sighting towards the lowest. 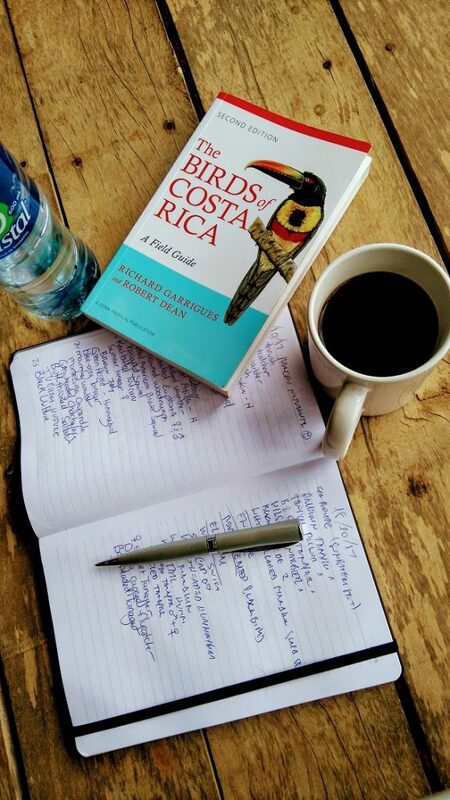 In the little time I had, I focused on the first one hundred birds, looking at their paintings and reading the descriptions in The Birds of Costa Rica by Garriguez and Dean. And in the late afternoon of Wednesday, October 11th, I landed at the Juan Santamaria airport of the capital San Jose (I’ll be honest with you – before I was invited to the country, I didn’t know the name of its capital). Less than an hour later, I met the organizing force embodied in Sergio Arias, the local guides and the other 12 participants (most of which I already knew through FB). We, the participants, were divided into three teams, drew our guides and the adventure began. More about it in the weeks to come.